It feels like it's just one snowstorm after another lately in the Mohawk Valley. Luckily, the expected snow totals have been lowered for this latest one. We've been expecting this latest snowstorm for quite a few days, so it's no surprise that the estimated snow fall totals would change. It's hard to predict a snowstorm, especially 3 or 4 days in advance. But the latest models dropped snow totals for the Mohawk Valley, although Herkimer and Otsego Counties are not out of the woods - They're still expected to get quite a bit of snow. According to the Facebook Post from the National Weather Service in Binghamton, the latest models suggest that the Utica and Rome area will see about 3 to 4 inches of snowfall. Syracuse is looking at about 1 to 2 inches of snowfall, and Boonville is in the 3 to 4 inch-range for estimated snowfall by tomorrow morning (Thursday, March 8th). As for Herkimer and Otsego counties, they are still in a Winter Storm Warning until tomorrow morning (Oneida County and most of Central New York has been downgraded to a "Winter Weather Advisory"). According to the Facebook Post from the National Weather Service in Albany, Herkimer is expected to see 9 inches of snowfall with this storm. Speculator could see a foot of snow, Old Forge is expected to see 9 inches, and Cobleskill could see as much at 16 inches of snowfall. Even these totals have been lowered from what was originally expected with this storm. Models from yesterday afternoon were calling for 12 to 18 inches for Herkimer and 8 to 12 inches for Old Forge. As we're still dealing with snow left over from our last snowstorm (that was just this past Friday), it's kind of nice to hear that the expected totals went down for once... Instead of up. 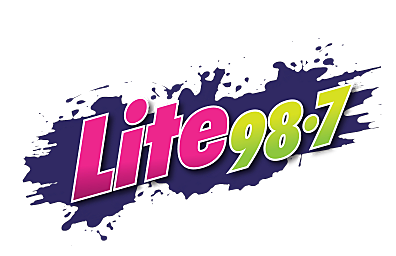 We'll keep you updated throughout the day and evening as the snow continues to fall on Lite 98.7.